No, no, we’re talking about the other big Independence Day in the Americas – this one on the 21st of September in Caribbean Central America. You know, that vibrant little democracy by the Caribbean Sea – Belize. It’s easy to get the two independence days confused. After all, both the US and Belize won their independence from Great Britain, although Belize’s was a much more peaceful process. And both grew into successful, sovereign countries after cutting the apron strings of Mother England, have set aside large areas as protected wilderness and national parks, and are both English speaking with Spanish as a second language. 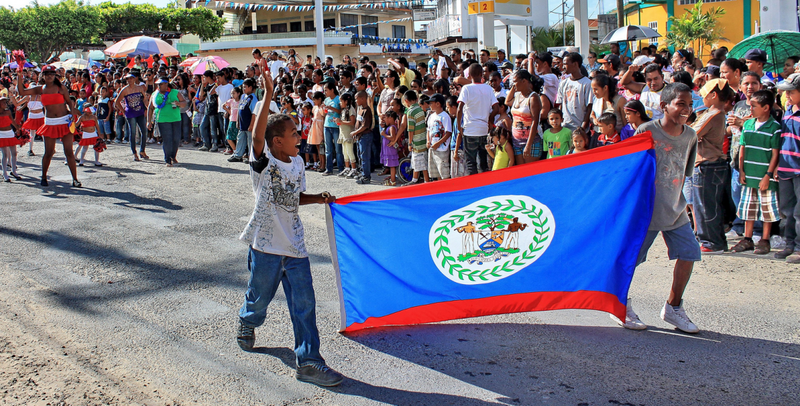 And while both nations celebrate their hard-won independence with exuberant parades, parties and barbecues, Belize’s Independence Day celebrations take up a good part of the month of September. That’s right – nearly a full month of celebrating independence. And you’re invited. 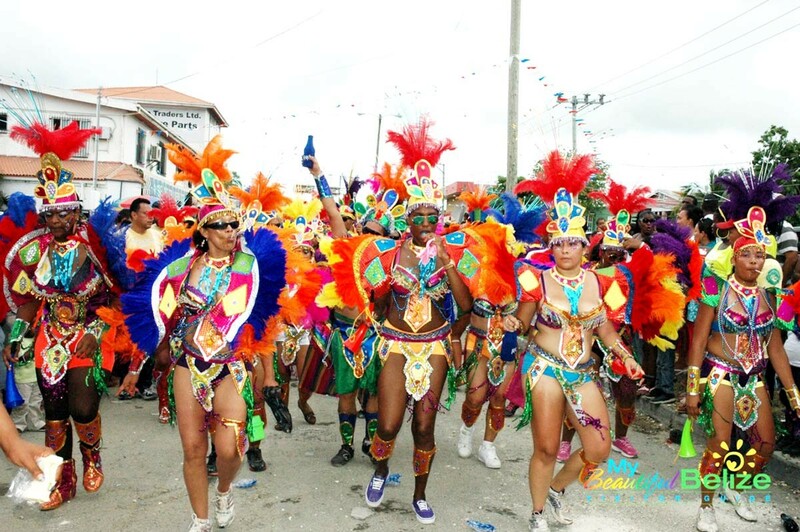 Belize’s September Celebrations, as they’re known, kick off with a Military, Police and Fire Tattoo in Belize City followed by the Sir Barry Bowen (founder of the national brew) Belikin Beer Bash in the city’s BTL Park. And from then on villages and towns across Belize will be hosting their own pageants, parades, dances and other events throughout the month – like the Placencia Saltwater Fishing Tournament held on the 8th. Which gives you barely enough time to rinse off the salt water, catch a breath, and celebrate the national bank holiday of St George’s Caye Day on September 10. Commemorating the colourful, crucial Battle of St George’s Caye in 1798 when a small, ragtag group of Belize’s early settlers defeated a much larger and better equipped professional Spanish invasion force, the victory is regarded as Belize’s first steps on the long road towards nationhood, and a fitting start to the independence celebrations. And if you’re in Belize City, you can add the big Fire Engine Parade to your September 10 fun. The excitement actually begins on the 12th with the election of the Carnival King and Queen. Sponsored by the Belize Hotel Association and held at the Marion Jones Stadium, each carnival group sponsors their own king and queen in a competition to decide which couple becomes this year’s Carnival Royalty. Belize’s September Carnival has been growing in leaps and bounds in recent years – in attendance numbers, costumes (which some observers say are actually shrinking rather than growing), floats, food and fun. Speaking of fun, for many enthusiasts, the Carnival actually starts the night before with J’ouvert, a pre-carnival bacchanal involving drinking, the smearing of bodies with coloured mud and/or paint and, for some, a dawn dive off the Belcan Bridge. Next comes the big Belize Expo of 15 – 16 September 2018. Now in its 22nd year, the Expo has grown to become one of the biggest events of the year in Belize, and is a don’t miss for soaking up local colour as well as ample amounts of Belikin beer and a wealth of snacks, meals, music, games and prizes as local producers display their wares. Also on the 15th, over in the western Cayo District, the inaugural West Fest makes it debut this year. Organised by the Cayo chapter of the Belize Tourism Industry Association, it’s billed as an eco and family-friendly, no alcohol event celebrating “3000 years of culture, food, music and history of the twin towns of San Ignacio and Santa Elena” at the Macal River Park in San Ignacio. 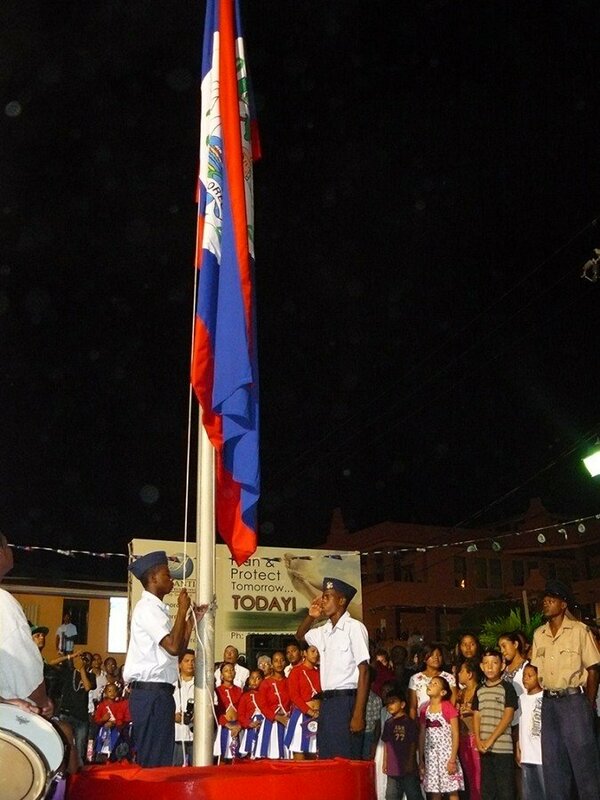 Starting with the annual flag raising ceremony on the 20th in Belize City, partying continues through the night in Belize City and various towns and villages as the entire nation comes together to celebrate. This is the biggest event of the year, and rightly so. Imagine the American Independence Day celebrations 37 years after the signing of the Declaration of Independence, and you get the idea. With independence still fresh in many minds, and considering how far Belize has come since September 21, 1981, enthusiasm and spirits understandably run high. It’s a great time to be in Belize, for Belizeans and visitors alike, and Chaa Creek’s guests have the best of both worlds – it’s easy to get into San Ignacio Town to take part in the celebrations, and just as easy to return to the tranquillity of the resort when it’s time for some peace and quiet. Which isn’t to say that independence (which happily coincides with Chaa Creek’s own birthday in 1981 as one of Belize’s first eco-resorts) won’t be in evidence at the Mariposa Restaurant and Jungle Lounge with Belizean dishes and drinks specials. Belize’s September Celebrations Committee is still finalising the 2018 calendar of events, so stay tuned for more information. And for those of you who wish to add Independence Day celebrations with a tropical twist to a classic Belizean vacation, now’s the time to start planning.